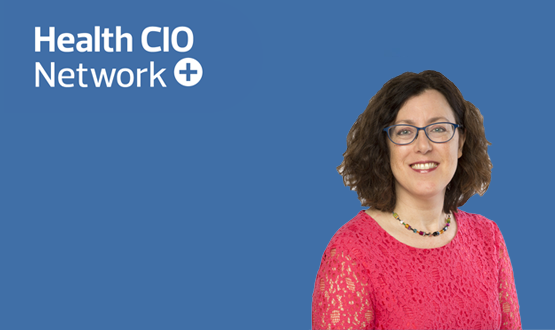 As part of our regular CIO profile series, this week Digital Health is talking to Cindy Fedell. Cindy, who heads up IT at Bradford Teaching Hospitals NHS Foundation Trust, tells us about the importance of setting your own goals and why she yearns for a life serving up hipster coffee. I know I can make a difference to both patients and staff – providing tools and information that make care easier and safer. Working in a hospital in the summer months as a teenager. This was in the days when hospital IT departments were comprised of someone who knew that a server needed to be kept cool, a software developer who did desktop support and some hospital staff from various areas who thought working in IT would be good for a while but never intended it to be a career. I was continually asked to do the testing of new software. There were no scripts, no methodology, no reporting or any governance. They just waited for me to say I thought it was OK. In late September we introduced a full-scale electronic patient record (EPR) all at once. Every single member of staff was impacted. For several weeks the whole organisation, including non-clinical areas, had a job to do around EPR. It was an amazing experience and one that has already become a part of the trust’s lore. There is a lot of opportunity in healthcare today and so it’s very difficult to narrow it down, but I think there has been some serious movement in creating structures to support new models of care. These will provide the foundation to change the way we work across organisational boundaries – hopefully much more organised around patients. The NHS is pressurised and needs to focus on delivering care every day. This day-to-day pressure means that, however well intentioned, taking time to implement something new will always be secondary. Funding, both capital and annual operating. Don’t do something just because everyone else is doing it, set your path and go for it. Almost everyone. The NHS is full to the brim with extremely dedicated staff who go above and beyond every single day, and have done so for decades, for the benefit of patients. This means, for example, leaving home hours early in a snow storm to ensure you make it in. Boxing Day a few years ago when there was a lot of flooding, I remember talking to a nurse who tried to make it into work by tractor as the roads around her house were washed out. Population health and getting set up for 5G and wearables – let’s shift the paradigm to wellness and preventing the need for treatment. Not in health specifically, but big data. And not because I don’t believe in the value of analytics but because big data is mostly too big. It’s too complex to be meaningful and translatable in this large format for most organisations. Most organisations don’t want to predict the next blackhole; we just want to improve the way we work. The power of providing the right information at the exact right time for a clinician to diagnose and treat a patient – simply by making it available electronically. It’s a simple concept that is often overlooked, but which likely has the highest return on investment from a care perspective. 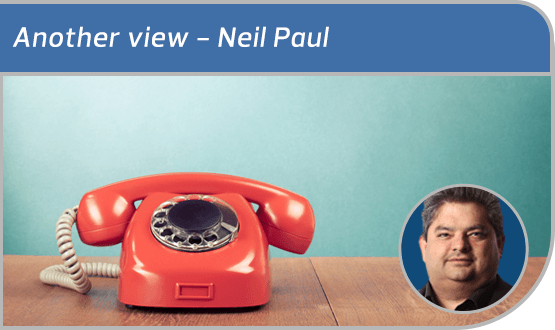 What technologies could have the biggest impact of relieving winter pressures on the NHS? Any technology that helps educate people and relieves their stress, keeping them healthy and out of the NHS. When I was a teenager I tutored students. They were completely uninterested in understanding what they were doing. They just wanted to pass their test. But at the time it was money in my pocket so I couldn’t complain. Robert Heinlein. His science fiction novel Stranger in a Strange Land spurred the idea that I could see myself and the world in a new way, meaning how a person sees the world is their own choice. Also, no matter what crazy thing was happening in his stories it seemed like everyone was having some fun. Indigo Girls – Hammer and a Nail. Good song for getting pumped up on the ride into work. I am very low tech at home but I couldn’t live without on-demand TV… In any place, or rather in every place. I fancy being a barista, but not in a high-volume chain coffee shop – in a small, boutique one that was full of regulars every day. I can’t even imagine although I should take a poll as it would be interesting to see how other people would answer for me. Maybe Janeane Garofalo – brown hair, glasses, but her one-liners are way better than mine.